There is no better time to sell ActiveCore and Business Ethernet to your customers, you can earn up to 2X Monthly Recurring Revenue (MRR). • New customers and qualifying additional sites or additional locations for existing customers only. Upgrades or other changes for existing customers do not qualify. • Sales must be Order Accepted during the eligibility period to qualify. • Business Ethernet sales require minimum 3-year contract terms. • Equipment fees, custom installation fees, professional service fees and other non-recurring charges which can be amortized into monthly recurring charges do not qualify for SPIF. • In the event that a sale meets two or more of the three SPIF payouts, only the single highest compensation level will apply and be paid. Sales must be Order Accepted between 1/22/19 – 4/21/19. All Comcast Business Solutions Provider partners in good standing are eligible for this SPIF. 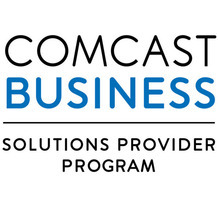 For More Information, Contact Your Comcast Business Partner Sales Manager.